Smith in 1990, during his garishly tacky "West Philadelphia, born and raised" phase. Willard Carroll "Will" Smith, Jr. (born September 25, 1968) is an American actor, rapper, token black man, and prince of royal freshness. Though his career began rather inauspiciously, Smith's titular role in the popular '90s sitcom The Fresh Prince of Bel-Air catapulted him into the film industry, of which Smith is now the metaphorical king. Every year, Smith — along with other supposedly talented actors like Tom Cruise, Keanu Reeves, Angelina Jolie and Shia LaBeouf — makes more money than any three Pacific island nations combined, though whether or not he deserves said money is another matter entirely. For those without comedic tastes, the so-called experts at Wikipedia think they have an article about Will Smith. Smith began his career in 1985, as one third of the hip-hop trio DJ Jazzy Jeff & The Fresh Prince, along with fellow hippity-hoppers Jeffery Townes and Clarence Holmes. The group was highly successful, and became the first ever rap act to win a Grammy. Smith decided to leave the group in the early 1990s to move on to bigger and better things — and to make up for all the money he'd blown up from their collective bank balance. After moderate success in music, Smith moved on to the next logical stage of his career: comedy sitcoms on network television. Fortunately for Smith, NBC was looking for exactly what he offered—a black man with little-to-no acting or comedic experience. History was made. What resulted was The Fresh Prince of Bel-Air, arguably the sixth-greatest African-American sitcom of all time. 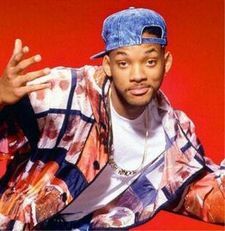 The program ran for six successful seasons, and though it is now largely forgotten aside from its theme song, the real importance of Fresh Prince was its introduction of Will Smith and his acting greatness to the rest of the world. 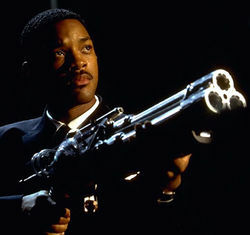 Will Smith, seen here in box office hit Men in Black, with gun. After success in television, Smith moved on to the next logical step in his career: playing the lead in Hollywood blockbuster movies. His first major role was in the drama Six Degrees of Separation (1993), where he played a sneaky con-man who preys on socialites. In 1995, Smith was approached by pyrokinetics enthusiast Michael Bay to star in the director's new film Bad Boys. Though the movie’s gross was only in the low hundreds of millions of dollars, Smith’s riveting portrayal of Disgruntled Low-Level Authority Figure With a Gun made waves around Hollywood; it wouldn’t be long before other sub-standard directors took notice. The following year, Smith was approached by another industry giant with an affinity for explosions: Roland Emmerich. Emmerich had been impressed by Smith's performance in Bad Boys, and promptly cast the actor in the role of Disgruntled Low-Level Authority Figure With a Fighter Jet in his own self-indulgent, over-the-top and highly patriotic blockbuster, Independence Day. Independence Day would prove to be a mega-hit, breaking several box office records and soon becoming one of the most overplayed movies on cable television. Smith's acting earned similar distinction, being praised as "derivative from his earlier works" by critics. In 1997, Smith was cast as Disgruntled Low-Level Authority Figure With a Laser Gun (shortened to "Agent J" during shooting) in Men in Black. With yet another success under his belt, Men in Black would prove to be the first high water mark in Smith's film career. 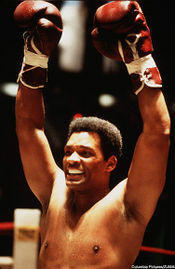 Will Smith, seen here in box office flop Ali, without gun. Smith had quickly become one of Hollywood’s most successful—and most bankable—actors. In 1998, he accepted the role of Disgruntled Conspiracy Theorist With A Gun in Enemy of the State. The film proved to be a radical departure from Smith’s prior work, and box office revenues reflected it. Smith followed this disappointment with arguably his worst career move: the actor opted out of the role of Neo in The Matrix in favor of doing Wild Wild West. When later asked about this seemingly-obvious utterly-terrible decision, Smith simply replied that the part of Neo "wasn’t disgruntled enough." After the utter failure of West, Smith would have a quiet 2000, before almost killing his career for good the following year. In 2001, film auteur Michael Mann approached Smith with his project Ali, an ambitious bio-epic about legendary boxer Mohammad Ali. At first, Smith was reticent about accepting the role, as Ali was not comically but dramatically disgruntled, and lacked a firearm. However, the actor finally accepted. Though the film earned him a surprise Oscar nomination for Best Actor, the film—like almost all good movies—had just an adequate box office performance. Smith’s agent quickly dropped him, and the actor’s career looked like it was finished. Smith would have to go back to his roots to find success, which, in the realm of Hollywood blockbusters, meant doing a sequel. 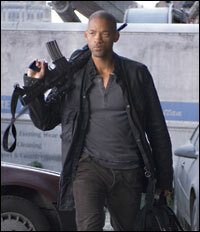 Will Smith, seen here in box office hit I Am Legend, with gun. Following the Ali debacle, Smith did back-to-back sequels to revive his slumping career. In 2002, he reprised his role of Disgruntled Low-Level Authority Figure With a Laser Gun in Men in Black II, and the following year went back to where it all began with Bad Boys 2 and another classic portrayal of Disgruntled Low-Level Authority Figure With a Gun. Now with two back-to-back hits and $35 million from said hits under his belt, Smith was free to explore the limits his typecast would allow him to go. In 2004, Smith played Disgruntled Low-Level Authority Figure With a Gun and a Prejudice Against Robots in I, Robot, which proved to be yet another success. In 2006, Smith was nominated an Oscar for pushing his typecast to its bare limits when he depicted Disgruntled Homeless Man With a Rubik's Cube in The Pursuit of Happyness. Smith followed up the success of Pursuit of Happyness with his acclaimed portrayal of Disgruntled Scientist With a Gun in I Am Legend (2007) and Disgruntled Homeless Man With Super Powers in Hancock (2008), both being sizeable financial successes. Much speculation exists as to what new career Smith will use his Hollywood success to parlay himself into. Some believe that Smith will use his notable-though-moderate acting success to inexplicably parlay himself into politics, a la Ronald Reagan. Most Hollywood demographers, however, are of the opinion that Smith’s charisma and appeal to men and women between the ages of 18 and 40 will eventually lead him into running a religious cult. In any event, one thing is certain: Smith will achieve levels of success and recognition far higher than what his actual level of talent would preclude. This page was last edited on 22 June 2016, at 18:20.